The fourth release in the current Springbank Local Barley lineup. This time the grain was sourced from High Cattadale Farm and the barley strain was optic. Maturation was in a mix of ex-bourbon barrels (80%) and ex-Sherry casks (20%). Just 9700 bottles have been released. Types of Barrel used for Aging A mix of Bourbon and Sherry casks. A great expression of Springbank that has some very nice sherry cask notes. Perfectly balanced flavo..
Rich, resinous and full flavoured. 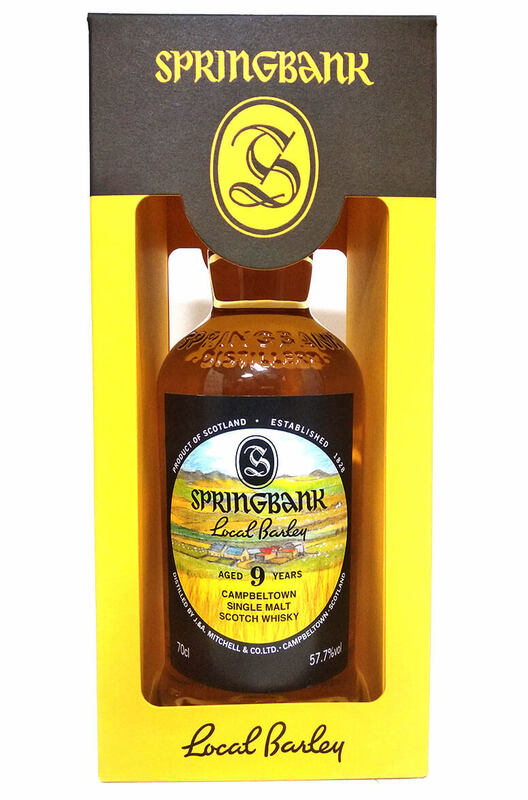 This is classic Springbank with all the fruity, piney and briney ..
A vibrant and fruity Springbank with touches of smoke along with some brine and tropical fruit. ..